Ever since GM sought to re-energize its luxury brand a decade or so ago, it has made it a cornerstone of their mission as a company to beat the Europeans at their own game – namely making fast, capable, and stealthy performance machines. 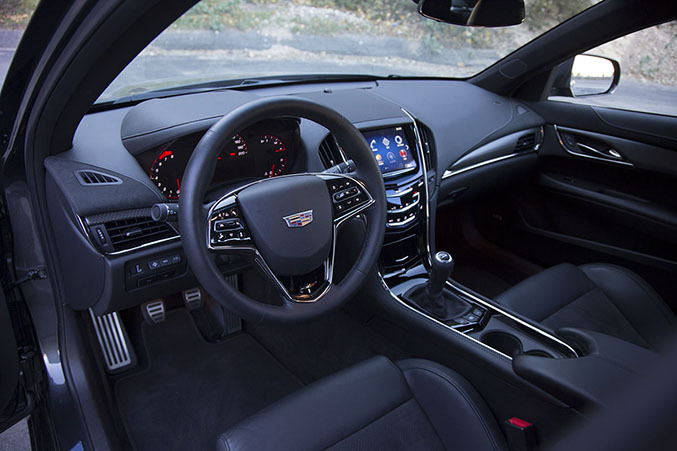 Those marching orders continue with Cadillac’s ATS-V. It’s no easy task, however, with BMW’s new M3 sedan and M4 coupe becoming the new standard bearer and the Mercedes-AMG C63 already winning praise around the world. But Cadillac hasn’t been one to back down from a challenge. The previous full-blooded V-series vehicle in their roster, the second generation CTS-V, proved that the company was a force to be reckoned with when the car broke the 8 minute barrier around the Nurburgring and captured the production sedan lap record from the Germans upon its release in 2008. Despite being down nearly 100 horsepower from that car, Cadillac says the new ATS-V is faster around the track – a lot faster. And from our time driving around the streets of Los Angeles, as well as a stint behind the wheel for some fast laps at Willow Springs earlier this year, we certainly believe it. 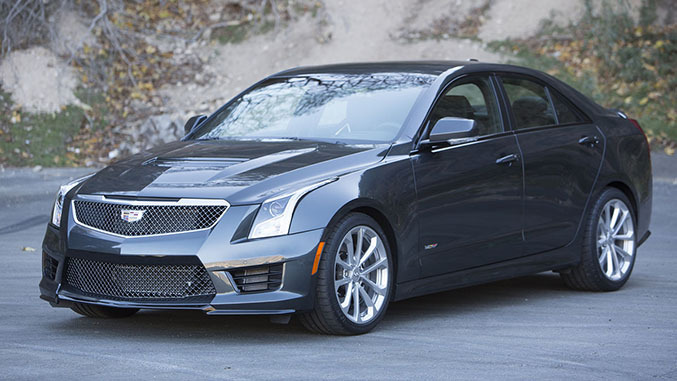 The ATS-V sports a twin turbocharged, direct injected V6 that belts out 464 horsepower and 445 pound-feet of torque, up a whopping 262 horsepower and 173 pound-feet from that of a base four cylinder ATS. Helping reign in all that newfound grunt is a set a six-piston Brembo brakes up front and four-piston units in back, while a heavily revised suspension that features third-generation Magnetic Ride Control helps keep the car planted in the corners. This, combined with structural reinforcements that increase rigidity by 25 percent, bolstered aero, grippier rubber and a host of advanced performance technologies derived from the Corvette and Camaro programs equates to a comprehensive package that’s just as comfortable dispatching Turn 5 at Big Willow as it is pulling up to the valet at Spago. While that twin turbo V6 might be lacking some of the personality found in AMG’s new 4.0-liter V8, it’s certainly not wanting for power – turbo lag is minimal and mounds of torque come on early, making the ATS-V feel especially lively both on the street and out on the road course. At a base price of $61,460 (or $69,905 as tested), the ATS-V is generally pound-for-pound cheaper than its German counterparts, though some of that savings comes through in the lackluster interior tweaks made for the V-series trim. 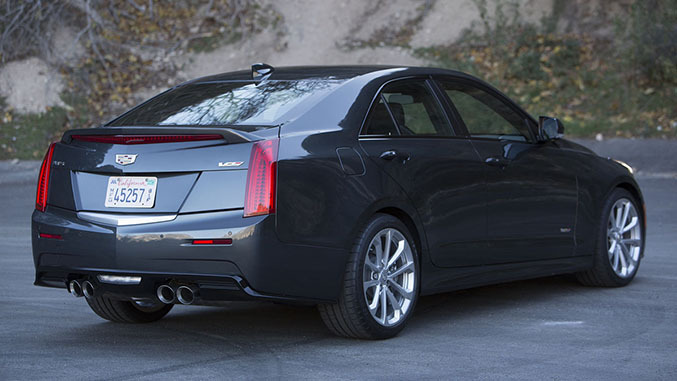 On the whole however, the ATS-V proves to be a real contender in the segment.